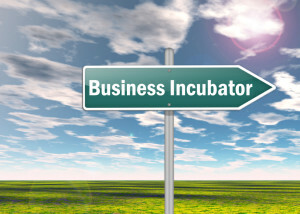 Should You Join a Business Incubator? Business incubators date back to the late 1950s. Though their numbers have been relatively low in the decades since, their numbers are on the rise. Many municipalities are sponsoring business and entrepreneurial incubators as part of their business development programs. Business, startup, and entrepreneurial incubators are typically shared office spaces or hubs containing a variety of resources under one roof conducive to nurturing (or incubating) startups. For example, some incubators are housed in city buildings and sponsored by the city. Offering low rents, classes, mentors, and networking opportunities among many other offerings, these incubators are ideal for startups and entrepreneurs to growth their businesses and surround themselves with like-minded individuals. According to the National Business Incubation Association, "Business incubators nurture the development of entrepreneurial companies, helping them survive and grow during the start-up period, when they are most vulnerable. These programs provide their client companies with business support services and resources." Why Join a Business Incubator? -Learning opportunities - While you may have an MBA, incubators provide you with real world learning opportunities. Starting and developing a business puts you out there, working and learning. Not only can you learn from experience, you can also learn from mentors and other entrepreneurs involved in the program. -Pitch practice - Because they're designed for startups and entrepreneurs, incubators tend to offer numerous pitch training and practice opportunities where you can master your pitch. -Pitch opportunities - Some incubators also bring in real investors for real pitch opportunities. These investors recognize the value of incubators. After all, serious startups are there, and they're typically pre-qualified due to strict eligibility requirements. To top it off, they tend to be better prepared for the experience thanks to all of the incubating that takes place. -Access to resources - From affordable office space and mentoring to shared office resources such as copiers, phone systems, high speed Internet access, or conference rooms, incubators are designed to support startups in a cost-effective manner. Some may even offer access to other resources such as teleconferencing, virtual data rooms or online learning portals. Who Can Join a Business Incubator? Is joining a incubator the right choice for you? It certainly could be. Share your thoughts with us in the comments section below.